Map of the Somme in ink in Edmund Blunden's hand. Written on the back of a Hong Kong University timetable. 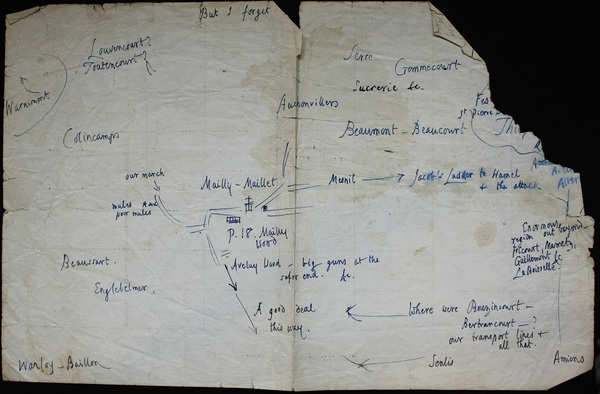 “Map of the Somme,” by Blunden, Edmund (1896-1974). The Edmund Blunden Literary Estate via First World War Poetry Digital Archive, accessed April 22, 2019, http://ww1lit.nsms.ox.ac.uk/ww1lit/collections/item/9018.